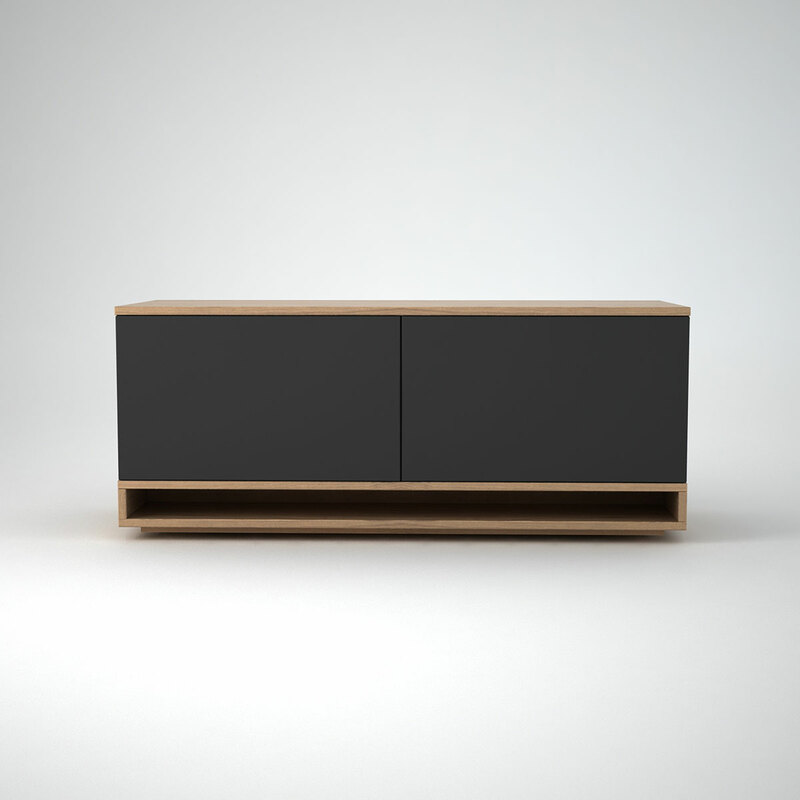 This smaller version of our Low Contemporary Sideboard, Harlem is characterised by its sleek leg feature. 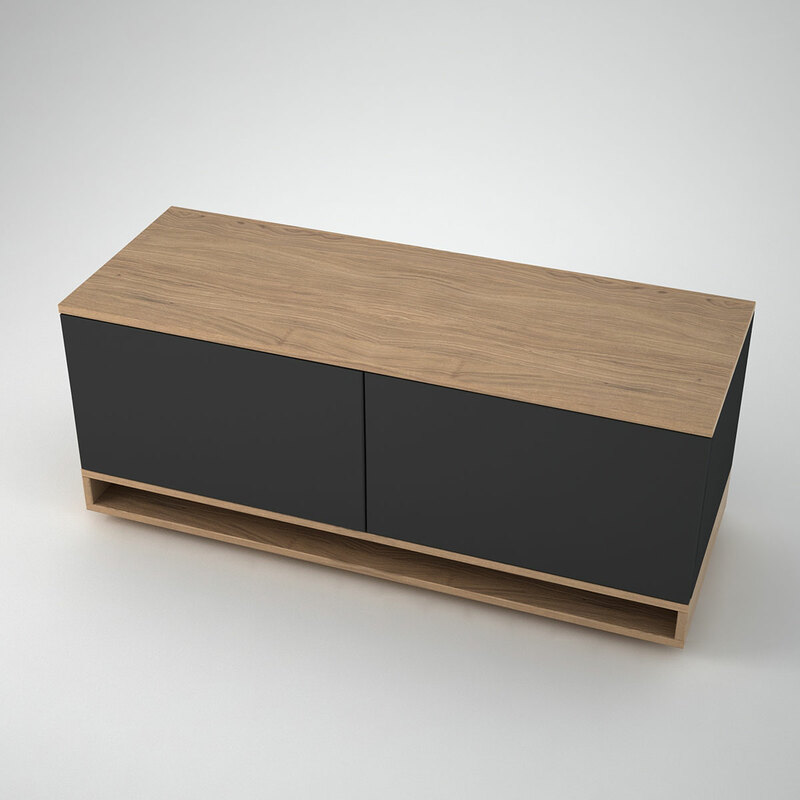 This smaller size version with 2 push release doors is ideal for spaces such as alcoves. 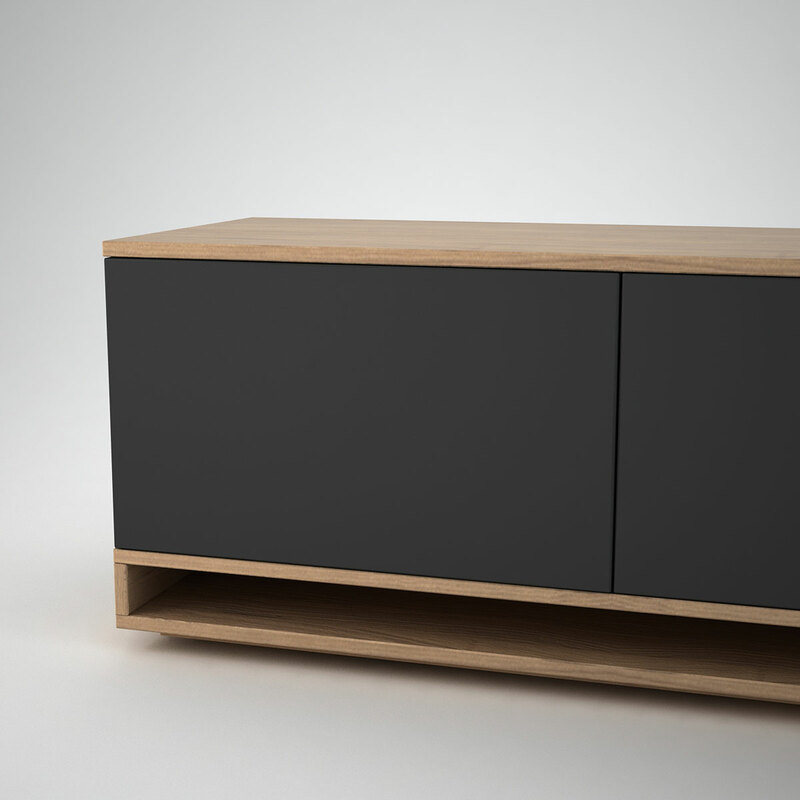 The combination of Anthracite matt wood composite and warm soft Oak creates a classically modern sideboard which.